Cupcakes Inspired Scalloped Doggy Birthday Card !! I love cupcake colours at the moment, pink and light blue. Very yummy scrummy! I had my nieces and nephew around for a sleep over and they made some yummy cupcakes. 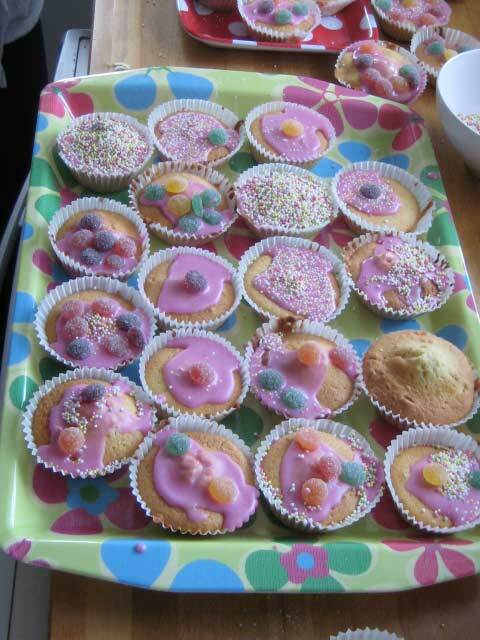 We had a nice time making the cupcakes, i told them what to do whilst i tidied and washed up their mess. They finished by adding strawberry flavoured icing, jelly tots, hundreds and thousands. When the kids left and the house was back to normality. 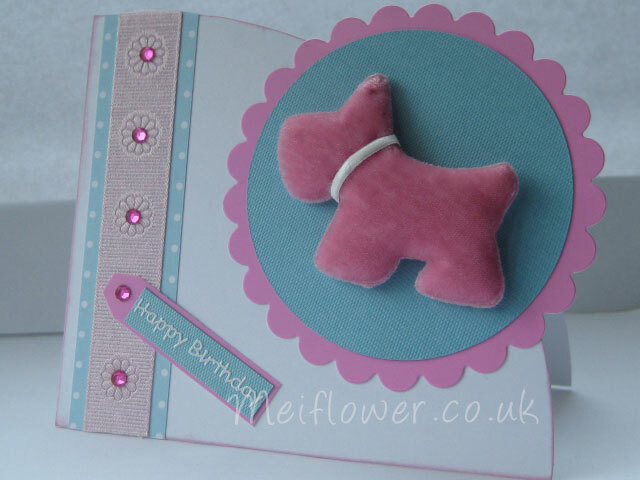 I had the idea in my head for a doggy card using the cupcake colours as inspiration and dog embelishments. 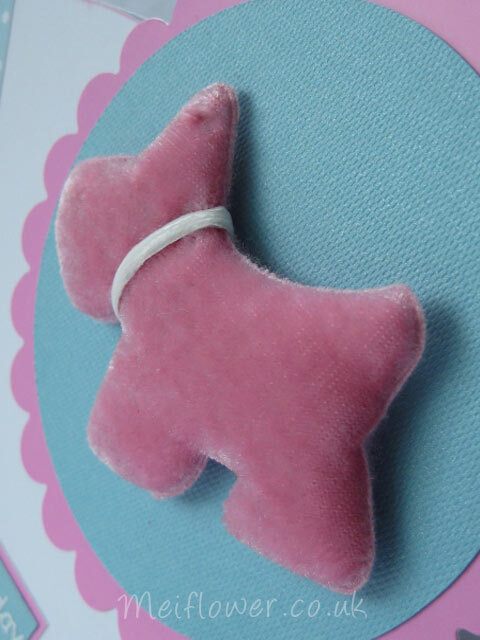 The pink velvet dog reminds me of the pink icing on the cupcakes. 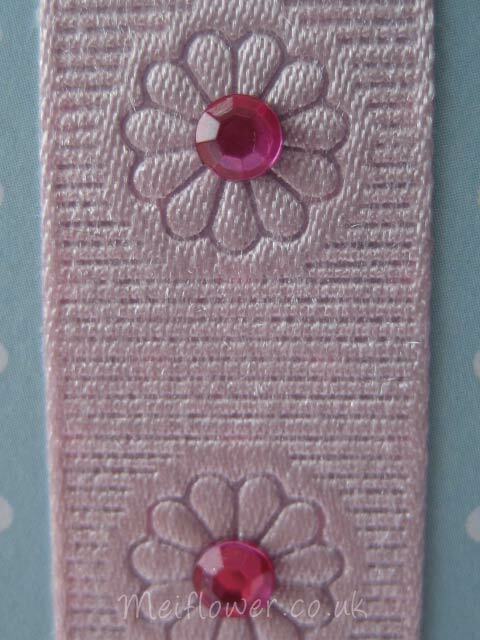 I added a light pink floral grosgrain ribbon to go with the pink and blue scheme, added a pink gem in the middle of the flower ribbon reminded me of the sugary jelly tots. I then layered all this on top of light blue and white polka dot paper. 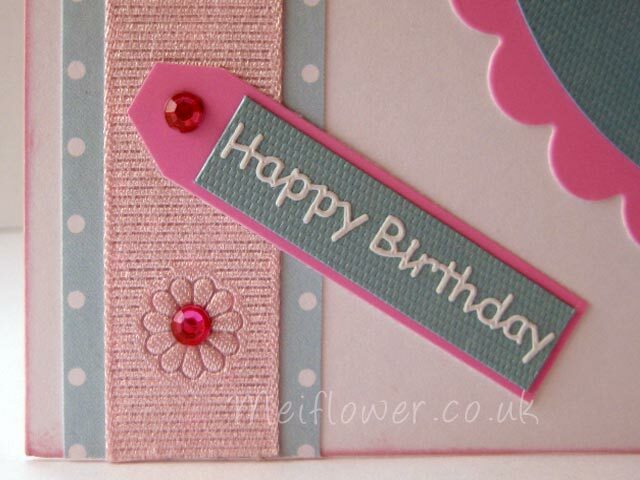 A matching tag is added at a angle with white ‘Happy Birthday’ text to go with the colour scheme. This entry was posted on Thursday, August 26th, 2010 at 2:19 pm	and is filed under Birthday Cards, Dog Cards. You can follow any responses to this entry through the RSS 2.0 feed. You can leave a response, or trackback from your own site.